UK Weight Loss Blogs List. The Best UK Weight Loss blogs from thousands of top UK blogs in our index using search and social metrics. Data will be refreshed once a week. Aberdeen About Blog Looking for articles on nutrition, health, and fitness? Need good information on weight loss? Low-carb or high protein diets? Check out our weight loss blog. Facebook fans 22,641. Twitter followers 1,272. UK About Blog Find tips, ideas and recipes for weight loss! Facebook fans 8,961. Twitter followers 2,848. UK About Blog Weight loss motivation for the fat man. The blog features amazing mens weight loss transformations and a weight loss forum full of men who want to beat fat. Facebook fans 11,932. Twitter followers 6,046. West Midlands About Blog Hi, I'm Amy, I’m a freelance writer and professional eater - As someone who was formerly overweight and suffered from bulimia. I wanted to share my journey and in doing so my blog has now helped people in both their own recovery and their weight loss journeys too. Facebook fans 1,338. Twitter followers 3,297. Stamford, England About Blog A British running and fitness blog where you'll find a whole host of topics including lifestyle, health, fitness and weight loss. Laura has lost over 100 lbs and blogs about her weight loss and running journey. Facebook fans 349. Twitter followers 2,281. About Blog We are experts in the field of Weight Loss and Weight Loss Surgery and have many years of experience. Tonic Weight Loss Surgery currently have clinics situated around the UK. Facebook fans 1,397. Twitter followers n/a. United Kingdom About Blog SkinnyJab is a Unique Weightloss Programme, making it effortless to keep a healthy lifestyle and diet regime! Facebook fans 352. Twitter followers 124. About Blog Harley Street Bariatrics is an elite weight loss clinic in London UK. Facebook fans 28,234. Twitter followers 4,120. Devon, UK About Blog Get away and learn to love yourself Weight Loss Retreat for all shapes, sizes & fitness levels, a place where you can work on your weight loss, fitness & health. Facebook fans 6,044. Twitter followers 479. About Blog I want to help you be successful at losing weight like I did. Bradford, England About Blog Simplyweight mission is to provide a high quality specialist weight management service which is people centered, easily accessible globally and individualised. Facebook fans 30,318. Twitter followers 9,401. Northern Ireland, United Kingdom About Blog Find tips and advice from Weight loss and fitness blogger! United Kingdom About Blog Celebrity Slim is about great tasting shakes, bars and soups. It's about enjoying healthy food and having trained advisors to give you support. And most importantly it's about losing weight and feeling great! Facebook fans 8,153. Twitter followers 7,667. About Blog After years of yoyo dieting, Julie Obiamiwe decided in 2014 to lose the weight for good and maintain a stable weight from then on out. By 2015 with her shape beginning to change but progress a bit slow on the scales, she decided to set up a weight loss journal to make herself accountable and in June 2016 The YoYo Chronicles came into existence. Follow her journey as she faces down various challenges including a sedentary job as a legal aid solicitor, peri-menopause, menopause to name a few. Facebook fans 412. Twitter followers 129. Kent, England About Blog Weight loss surgery is an effective tool for long-lasting weight loss. We started our clinic in Kent to help UK patients self-refer for private surgery. Facebook fans 2,135. Twitter followers 241. Hinckley About Blog Discover how to lose weight fast with our weight loss plans plus nlp and hypnosis fat burning foods and exercise for weight loss. Facebook fans 418. Twitter followers 44. London About Blog Get the latest information in medical care from our blog. Keep fit and healthy with tips from our blog. Facebook fans 391. Twitter followers 14. Malvern Worcestershire About Blog Learn how to slim for good with Keren Milton. Stop yo-yo dieting and keep your weight at a healthy level. Facebook fans n/a. Twitter followers 2,110. BARNSLEY,UK About Blog Body positive & healthy lifestyle blogger; on a mission to live a happier and healthier life! Facebook fans 200. Twitter followers 380. Peterborough About Blog Find tips and advice about weight loss from Nona! Facebook fans 44. Twitter followers 166. UK About Blog Helping You To Build a Focused Mindset & Strong Motivation To Manage Your Weight. Facebook fans n/a. Twitter followers 59,558. North West, England About Blog I am Kayla, i'm 25 and working on a healthier and happier version of myself. My mission is to lose half of my body weight and help others in their personal weight loss journey. As well as a weight loss blog, you'll find tips and recipes. Facebook fans 3,533. Twitter followers 413. About Blog A blog about the journey of having a bariatric bypass in the UK. 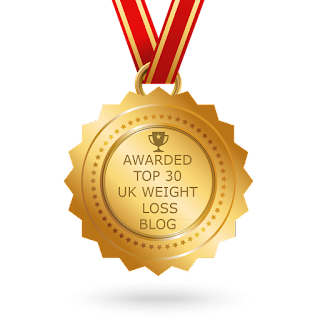 CONGRATULATIONS to every blogger that has made this Top UK Weight Loss Blogs list! This is the most comprehensive list of best UK Weight Loss blogs on the internet and I’m honoured to have you as part of this! I personally give you a high-five and want to thank you for your contribution to this world.